PRICE REDUCED! It's time to sell! 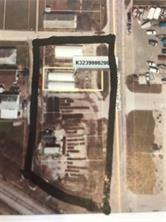 Amazing opportunity to own your own piece of ground next to Grand Lake St.Marys! Impressive traffic counts. (364 and 703) This could be a prime lake related hot spot. Located across the street from the Villa Nova and Outdoorsman. Frequented spots for boaters, fisherman and locals! Consist of 6 lots as follows: K32-390-001-00, K32-390-002-00, K32-390-003-00, K32-390-004-00, K32-390-005-00, K32-390-006-00. Listing provided courtesy of Krista Opperman of Plus One Professionals.